With Labor Day weekend coming up, I know many Oregonians will be venturing to Bend for one last summer hurrah. 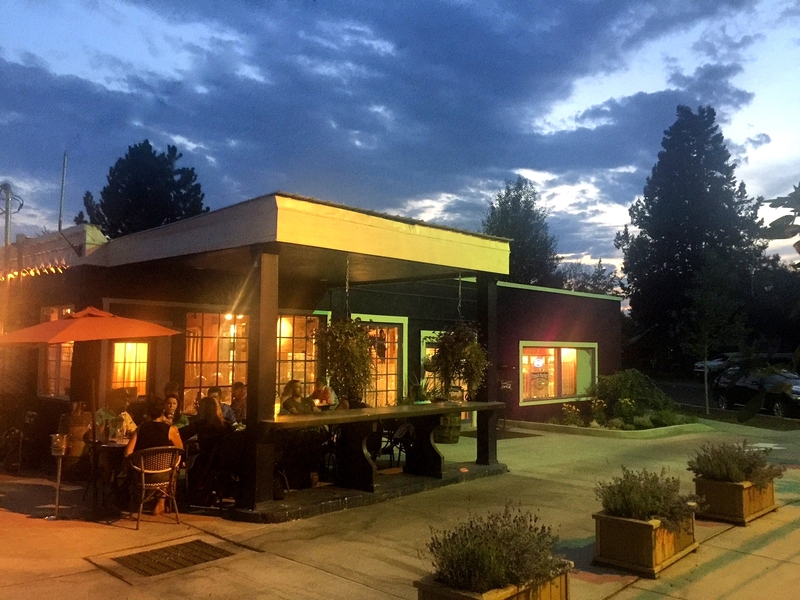 As well, whenever you might have the opportunity to visit our central Oregon outdoor, foodie, health-focused, beer-making, dog-loving community haven, I wanted to share with you a simple list of ideas when you begin creating an itinerary. While currently we are inundated with smoke from lightening caused forest fires and will most likely be for a few, if not more than a few, days, perusing through the many images I have captured over the past two years reminded me of the beauty that exists nearly everywhere I turn. Whether it is out on the water, sitting down for a cup of coffee, strolling along the paths at Drake Park, spending time viewing a small indie film in a boutique theater or savoring the delicious fare at the many locally owned, family run restaurants, some of which have been recognized by the James Beard association, there are many simple, beautiful and memorable ways to spend your time in my new hometown. And I am more than happy to share what I’ve discovered. If I had to plan an ideal day in Bend, from beginning to end, sundown to beyond sunset, below are the twelve activities I would put on my itinerary. None of them are overly extravagant, but each are activities I appreciate having the opportunity to experience, visit, and/or savor in Bend. Nearly every day begins with a walk with my boys, Norman and Oscar. With nature just outside my backdoor, as a doggie mama I feel as though I am giving my dogs the best life I could possibly give them. 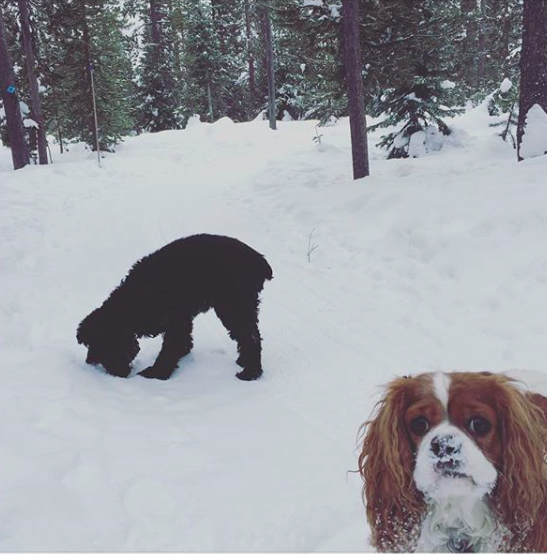 Whether on a leash while walking multiple miles on preserved trails along a river or allowing them to be off-leash at designated expansive dog parks around Deschutes County, their smile when they see where I am driving warms my heart. 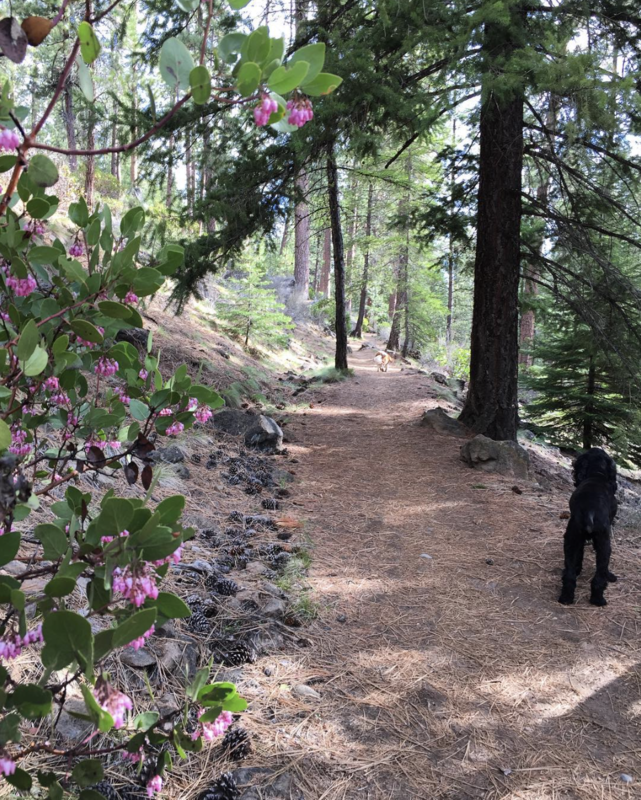 While many people run, or bike here in Bend, walking has always been my preferred work-out of choice, and very rarely do I walk the same trail or path two days in a row. Here and here are two resources to find a trail or path that suits your taste and location in Central Oregon. 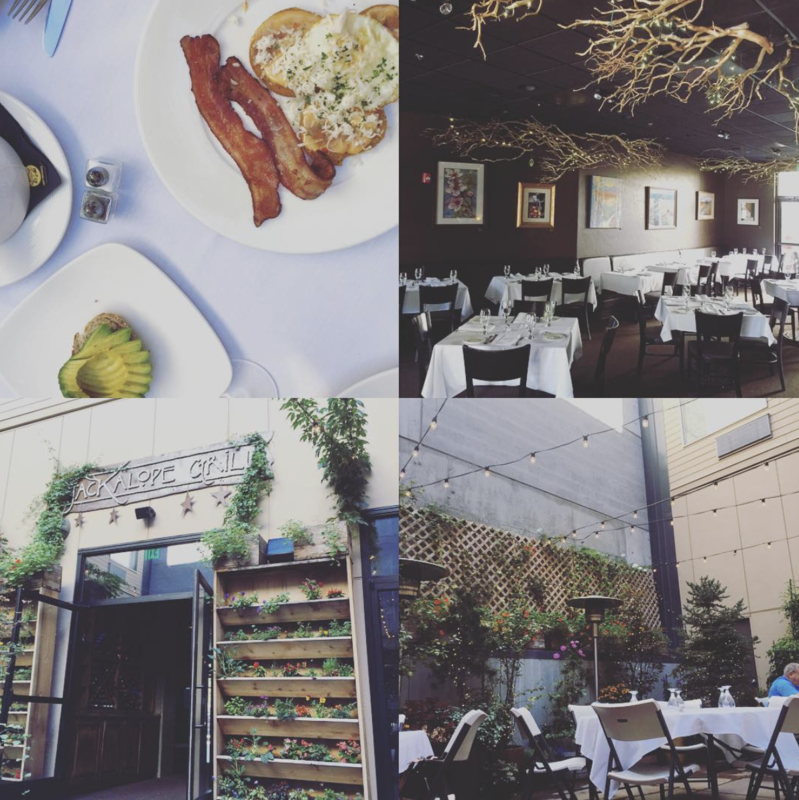 ~View all of the images captured with #tsllmynorman and #tsllmyoscar while walking in #tsllbend on @thesimplyluxuriouslife‘s Instagram feed. Quite frequently this summer I found myself both walking early in the morning followed by a jaunt on the paddle board before the heat of the day set in. This pattern was partly prompted by the reality that Oscar is getting older (12) and preferring to stay on solid ground (wise pup), so I wanted to make sure he received his daily exercise with the walk, but also because I didn’t want to pass up the beautifully warm, yet still crisp, mornings on my board. Norman has become quite the little SUP pup and hops on like a pro which makes it all the more exciting to get out onto the water (you can see all of our ventures on the water on Instagram with #tsllsup). 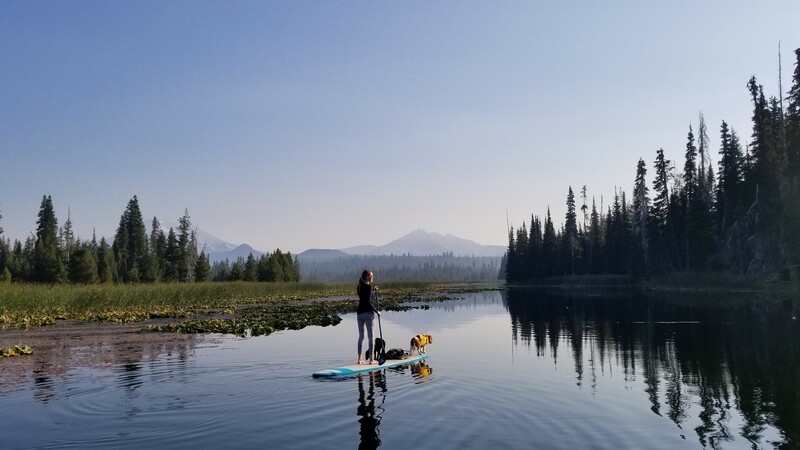 If you are looking to rent a paddle board, you can pick one up at a handful of different locations, often right at the river: Tumalo Creek Paddle & Canoe, Parks & Rec rents at RiverBend Park and many more locations as well (click here for the entire list). And don’t forget to visit the high lakes with your board. Below is an image on the day of the Total Solar Eclipse on Hosmer Lake. After finishing the daily workout, on an ideal day, a stop into a local bakery is never a bad idea. 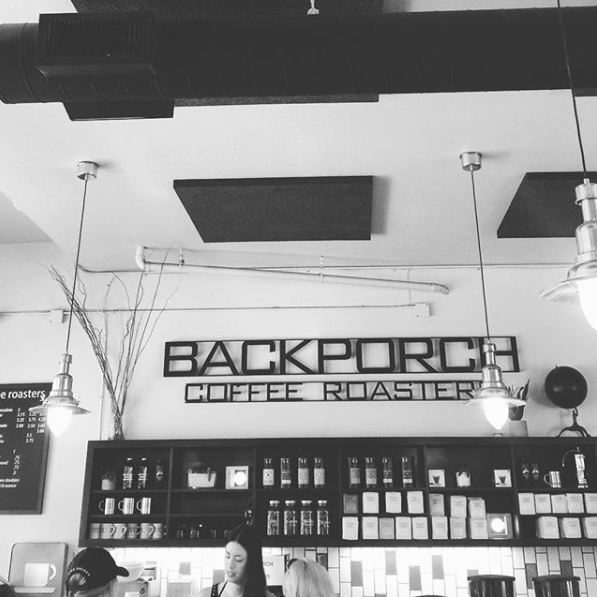 With so many delicious bakeries to choose from (last summer I shared a post detailing a handful of the best bakeries in Bend based on my tastebuds’ first-hand experience), you will find something delicious to nibble on as well as scrumptious coffee (my favorite place for coffee is Backporch Coffee Roasters which was voted Best Coffee in Bend this year). 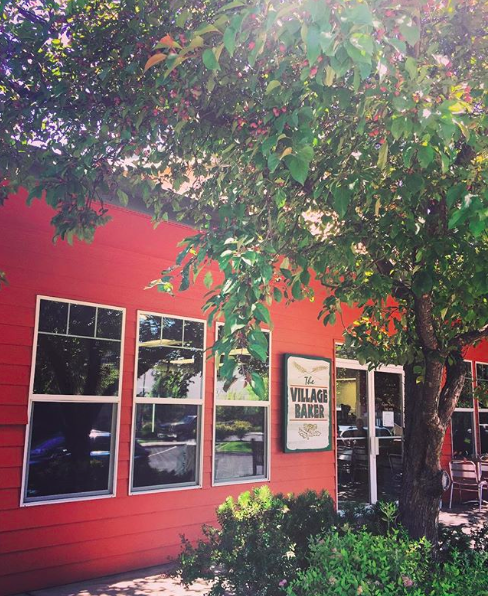 And for tea, many of the bakeries serve Metolius Artisan Tea which is local and offers a quality sipping experience. 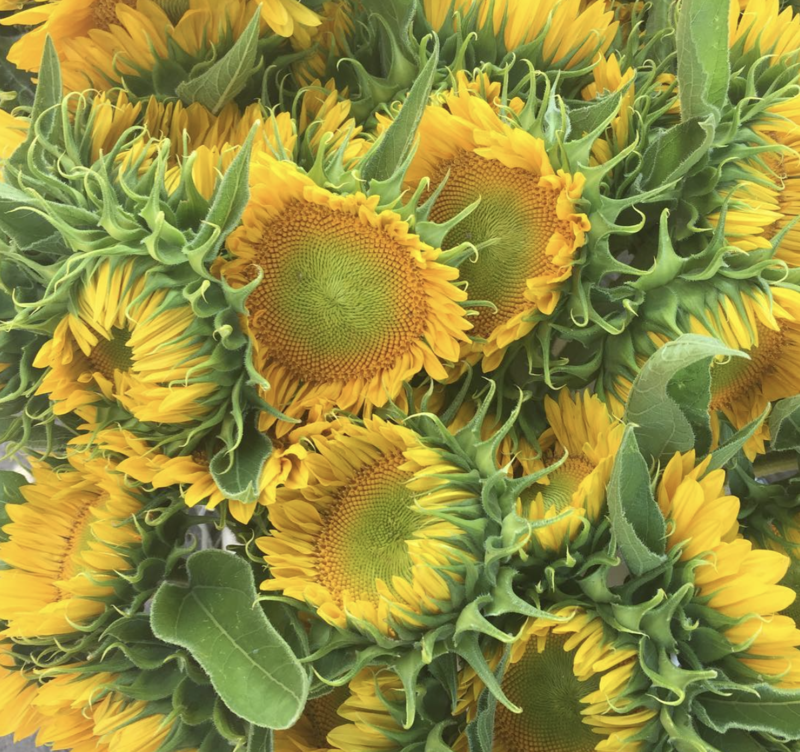 Beginning in June and running through September and October (depending upon which market), the farmers markets in Bend are quite abundant as purveyors come from the Willamette Valley and across central and eastern Oregon to share their produce. 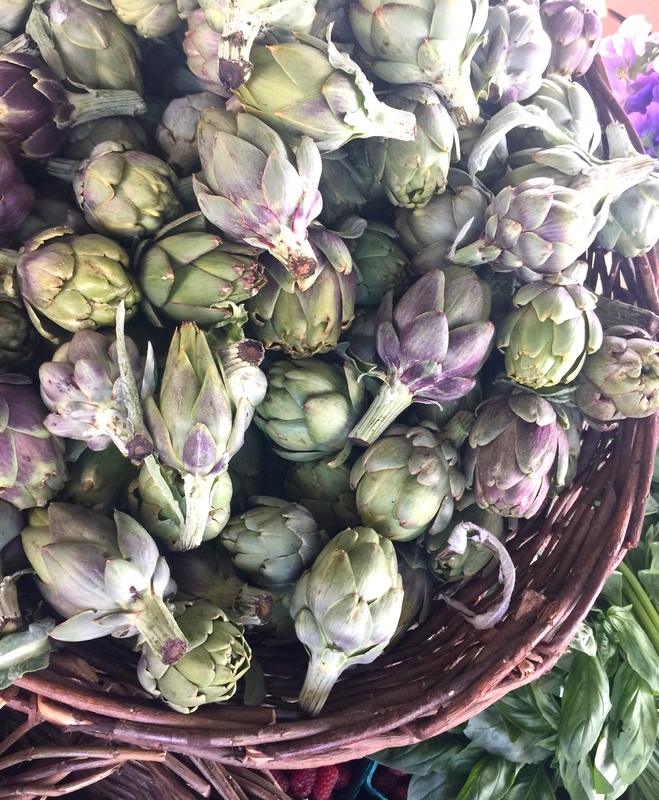 You can view an abundance of images I captured this past summer at my three favorite spots in this post as well as discover how to make the most of your time at a farmers market. My advice: arrive when they begin as the best produce goes quickly, but don’t worry, all of the produce is spectacular. 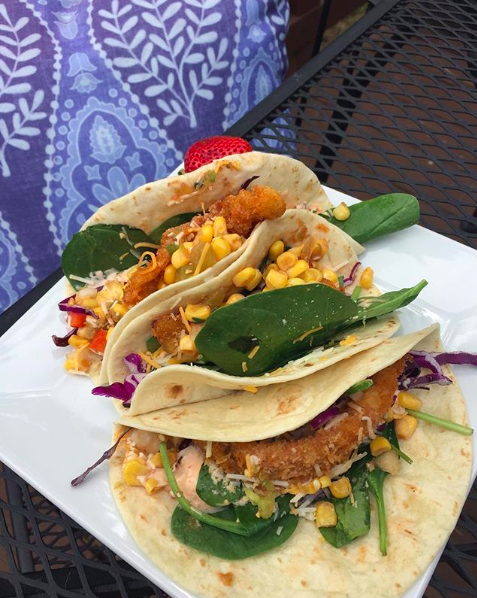 And if you simply want fresh, local produce without having to go to one of the once-a-week markets, stop by Paradise Produce on Galveston on the west side. I adore bookshops, as I know many of TSLL readers do as well. 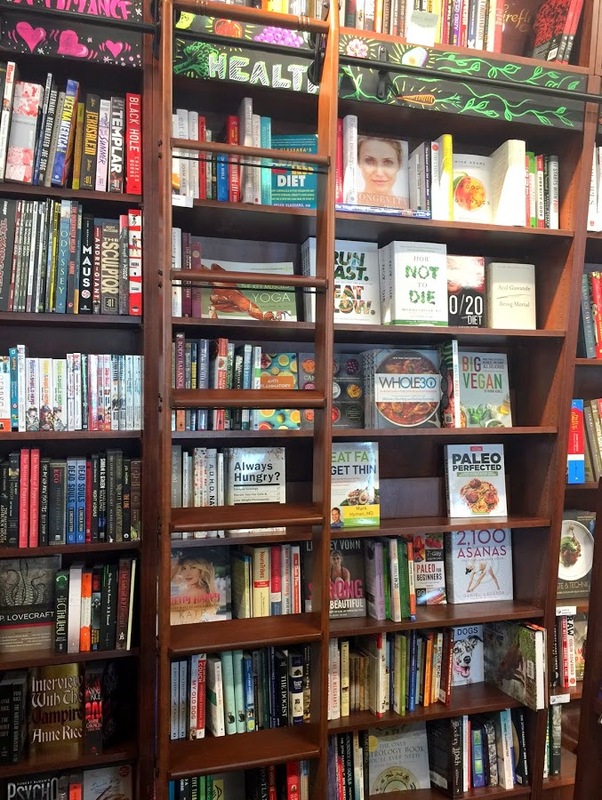 Much like a big hug you can step into and find quiet refuge, visiting a locally owned bookshop is a sweet outing entirely by itself. Supporting independently owned bibliophile sanctuaries is vital, and while it can be tempting to go home and purchase the book from Amazon (I too am guilty of this from time to time), buying a book, sitting down and enjoying a hot cup of tea or coffee and making connections can go along way if we all did something to show our appreciation on a regular basis. 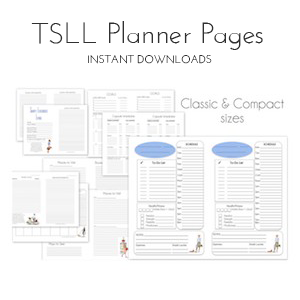 Perhaps look at your purchase as a subscription or a form of mini rent to keep your favorite book destination open. 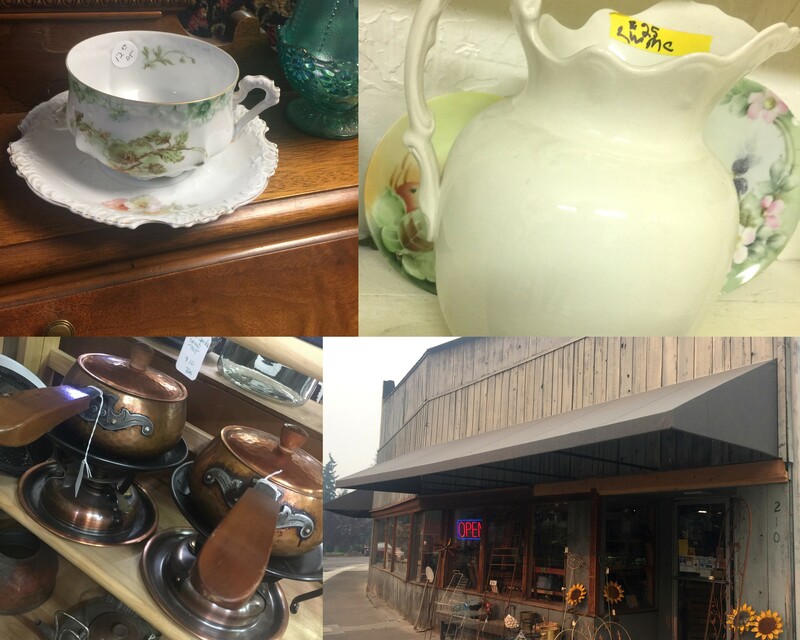 I was especially grateful when Roundabout Books opened less than a year ago in Northwest Bend and I had the opportunity to introduce readers to the owner in this post as well as share a few more pics from my many wanderings through the shelves. 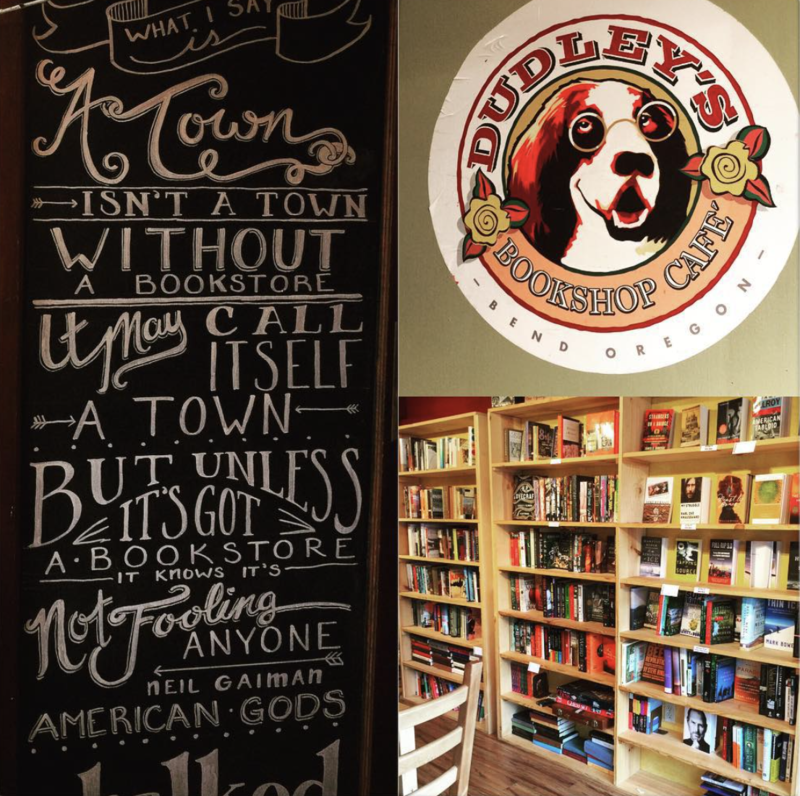 Dudley’s Bookshop Cafe is also a wonderful, cozy bookstore located in its prime downtown location. With a comfy couch upon which I have sat more than a few times and enjoyed conversation and tea with a friend as well as a work room upstairs set amongst used books, the espresso is delicious, the treats are scrumptious, and you are centrally located to enjoy many other lovely boutiques while downtown. Any one of these destinations will delight the foodie that resides within you. From classic American fare to globally-conscious cuisine, mouth-watering tacos and burritos and traditional sandwiches amped up with thoughtful flavorful details, no reservations are needed, just step inside and pick up, dine in or outside and enjoy a boost to carry you through the second half of your day. 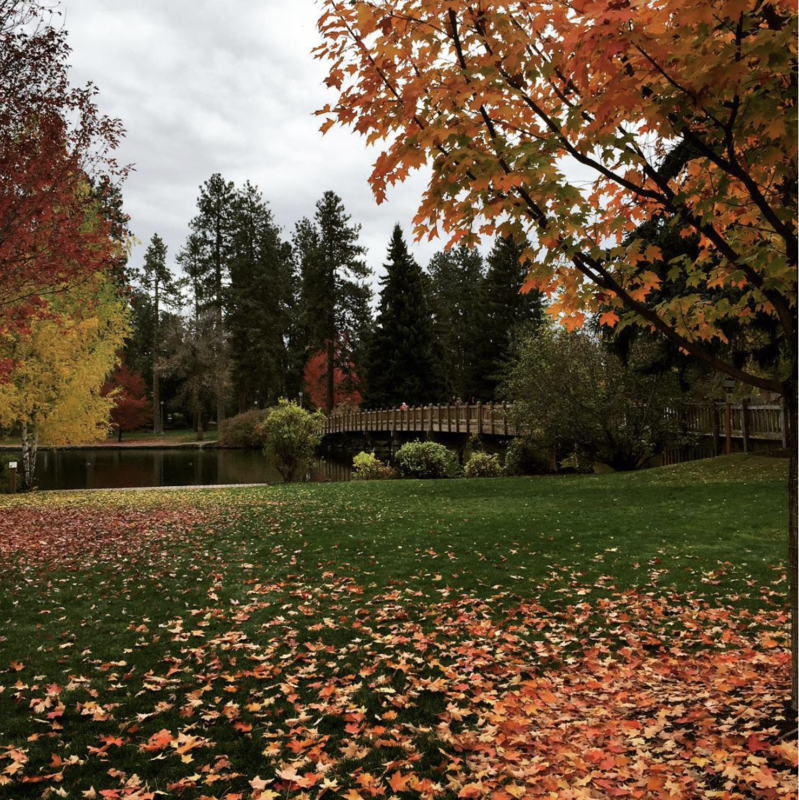 If you’re downtown, be sure to stroll through Drake Park located along the Deschutes River and what is called Mirror Pond. In the fall, as you see below, the colors are exquisite, and as well in the spring with the copious amounts of maple and other deciduous trees full of blossoms. If you’re anything like me, you will need some time to rest and recharge before finishing the day. 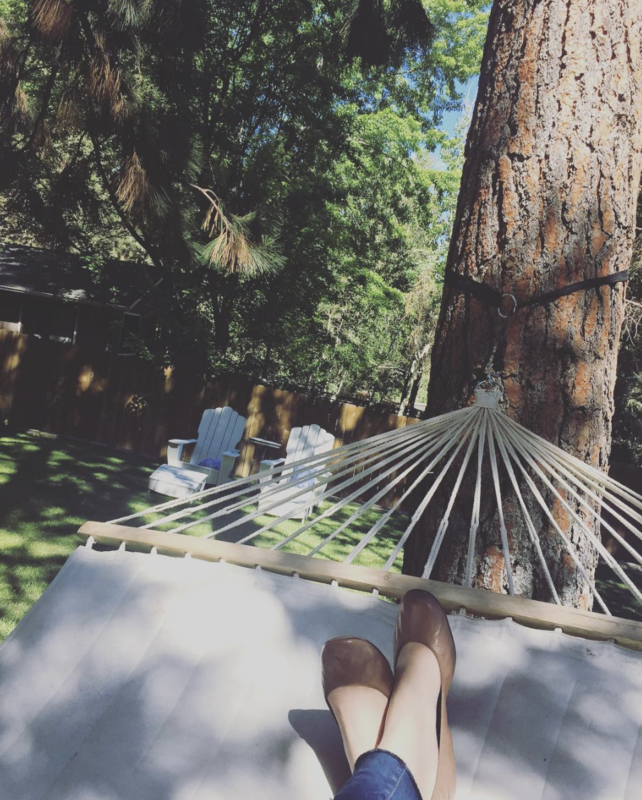 With the many vacation rentals in Bend, enjoy the outdoors by simply stepping onto your porch, patio or out into the yard. I have a hammock in my backyard, so often in the afternoon I find myself taking a rest swinging out in the fresh air, listening to the birds. 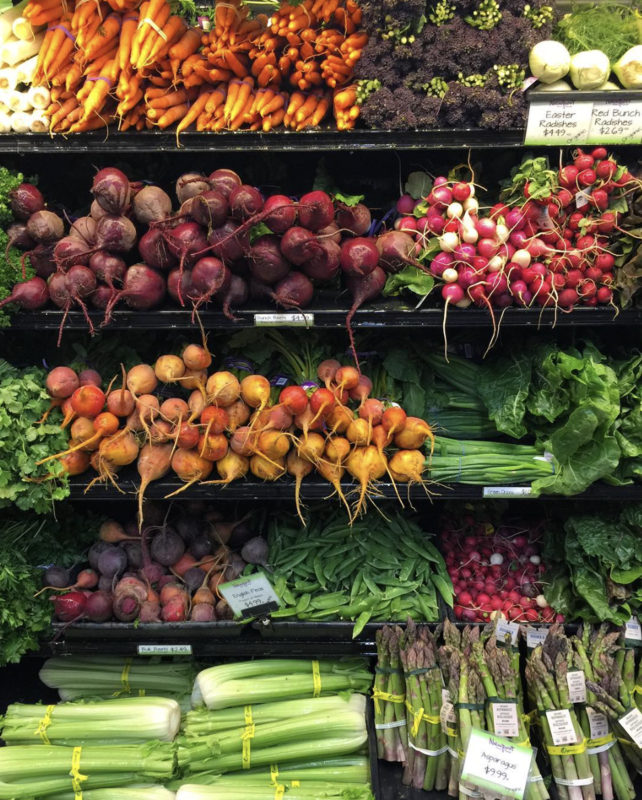 The bounty of grocery stores and market in Bend for the small size of under 90,000 people is a food-lovers mecca. 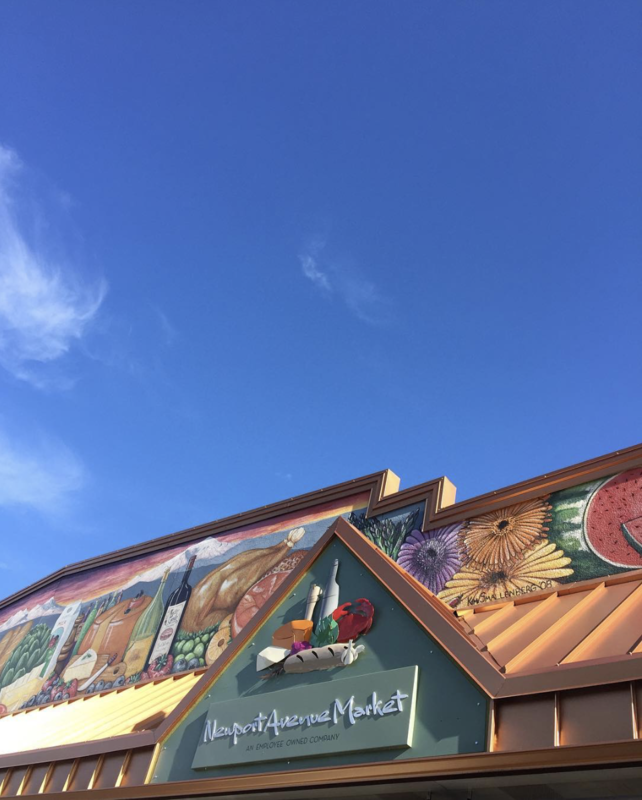 And while we do have Whole Foods, Trader Joe’s and Market of Choice as well as Locavore and finally the traditional Safeway, Albertsons and Fred Meyers, we also have something exclusively in Bend that you won’t find anywhere else (that’s redundant on purpose): Newport Market. If you’ve ever been to New York City’s Upper West Side and stepped into Zabar’s, you will feel right at home at Newport Market. No, it isn’t a kosher deli, but it is small, the shelves are close together, and the selection is phenomenonal for the minimal space they inhabit. Yes, the prices are a little high, but for quality seafood (considering we are not close to the ocean), wonderful wines (I trust every selection and have yet to be disappointed), a sushi bar, deli options, even cooking utensils and supplies (they sell Le Creuset) as well as locally made food such as Bontà gelato. The service is friendly and on Friday be sure to stop by the deli for the once weekly made coconut shrimp and prime rib. If you do want to dine out for a lovely, palette pleasuring experience, make reservations especially at Ariana’s (use OpenTable – they only allow one month in advance, but you will need it, and request to not be placed by the backdoor) and it is recommended highly at both The French Market and Tim Garling’s Jackalope Grill. 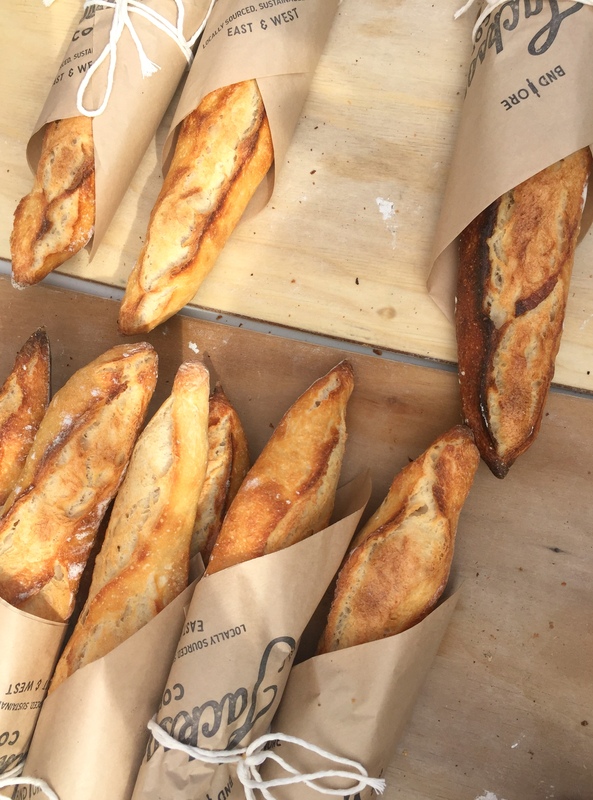 A few weeks ago I wrote a review of the newly opened French Market which sources its menu from local, seasonal produce, as does both Jackalope and Ariana’s. 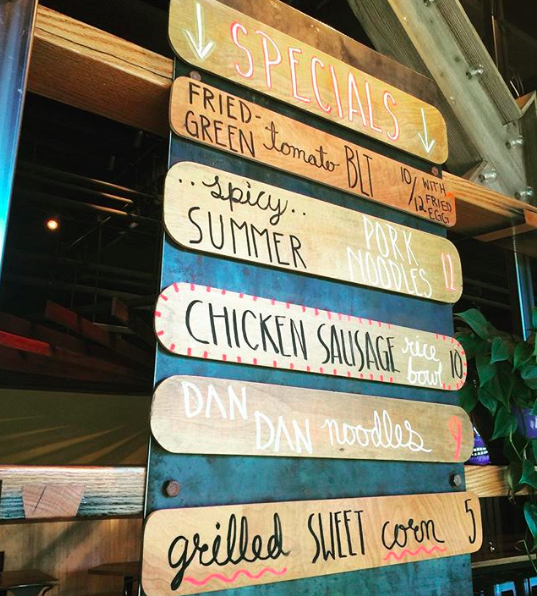 The Jackalope Grill is sometimes overlooked because of the name, but you will not want to miss dining here. 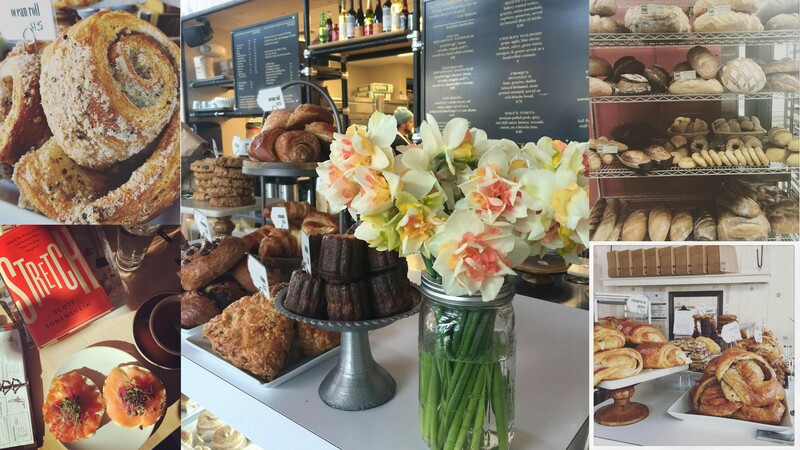 The French-trained chef Garling offers new American fare that is served in a traditional dining setting. With both indoor and courtyard seating (see here), I often felt I was dining in New York City with the cement walls and globe style lighting. 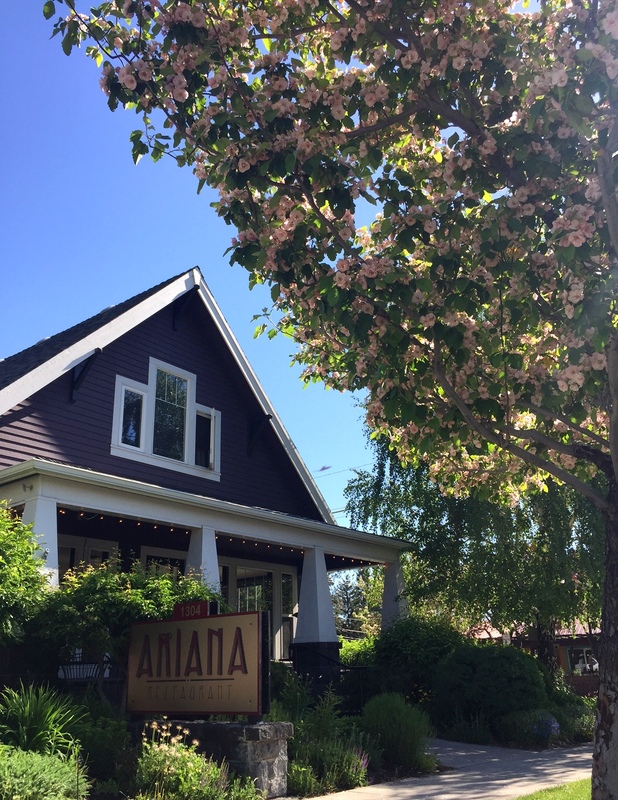 Ariana’s Restaurant has been recognized by the James Beard association and with good reason. The white tablecloth service, the unique and unexpected offerings all the while catering to the new approaches to classic European dishes, be sure to have a look at my review here. Only open Tuesday through Saturday beginning at 5pm, make a reservation now and it will be worth the wait. 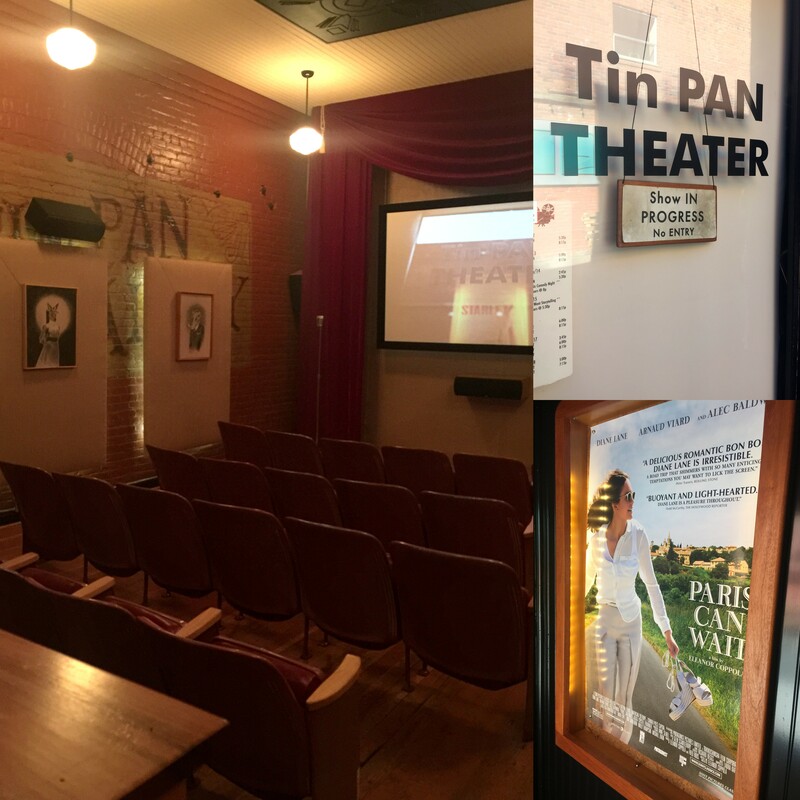 To conclude the evening, instead of heading to the Old Mill Movie Theaters, stop into a small boutique theater in downtown Bend, the Tin Pan Theater. As you can see from the images below, there are only five rows with either five or six seats each. The door opens 30 minutes before show time, and you cannot reserve your tickets in advance, so be sure to show up early. The films are often independent or foreign that don’t typically show in the large theaters. The prices for tickets, food and drinks (wine and beer as well as free water) are far lower than what we have become accustomed to, and the atmosphere is quite memorable and comfortable. 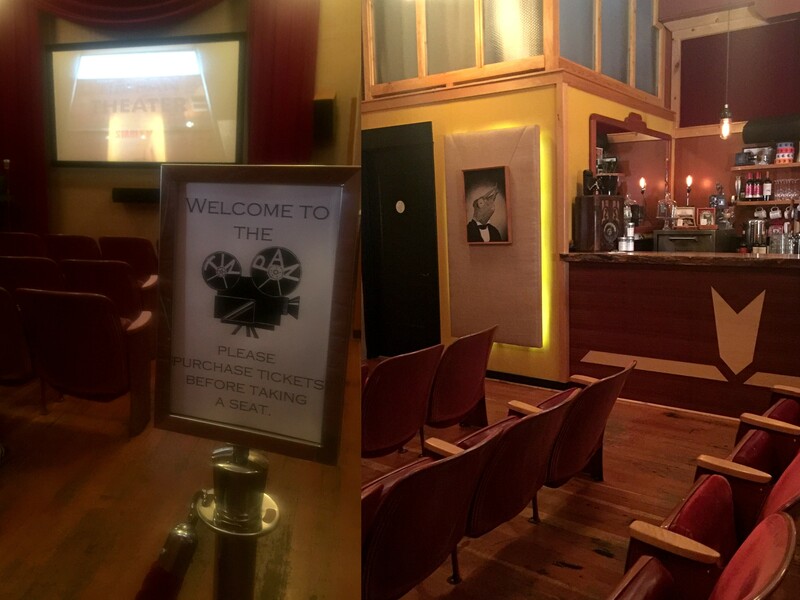 Having viewed two different films at the Tin Pan Theater (Paris Can Wait and Lost in Paris), one filled up and one met half of the capacity, I cannot wait to go again. And now to drift to dream, savoring the goodness of the simple way of living, even if for a day in the city of Bend, Oregon. So often we feel we need to make grand plans to ensure a most memorable time in a destination away from home, but often it is by experiencing the common events (dining, bookshop visiting, sipping a cup of coffee) in a new setting with new people and different energy that can create a powerful experience to remind us of the beauty of the everyday gifts around us. Perhaps your town is just has lovely if seen through a tourist’s eyes. While I have the good fortunate to have each of these experiences available to me year-round, it is my hope I never take them for granted because having such luxuries was not such the case before I arrived, and I feel very much like an adult in a candyland of riches. 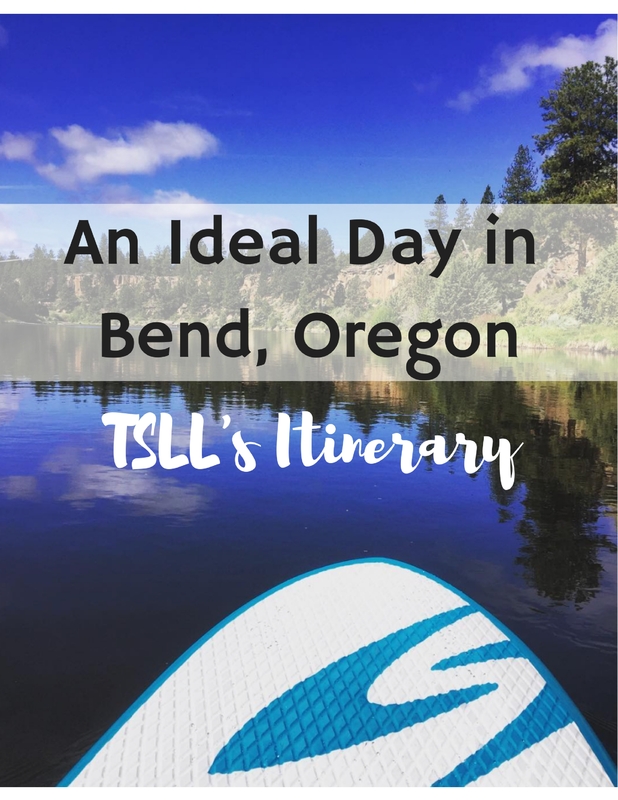 If you have any questions about an upcoming trip to Bend, be sure to check out my City Guide which I am regularly updating, as well as view all of the posts specifically highlighting my favorite destinations in Bend (many of which were included in this post, but not all). You are also welcome to email me (info@thesimplyluxuriouslife.com), and I will do my best to answer and offer suggestions you might enjoy. What a lovely post Shannon. Bend looks so beautiful in all seasons , I have so much enjoyed your lovely photographs and descriptions . I hope that you will put your suggested plans for a beautiful day into action this weekend , you have inspired me to fill my own weeekend with beautiful simplicity ………….good coffee , a walk in the woods , and a visit to a bookshop ! Thank you Anne. 🙂 Wishing you a lovely simply luxurious weekend. 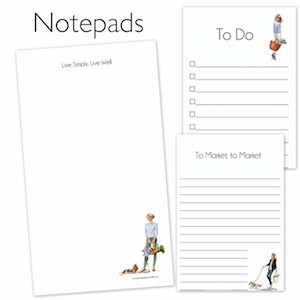 With my husband’s vacation coming up, and plans to make a few day trips during it, this post inspires me to think about where we are going, to research it a little bit on the computer, and come up with places we may want to check out, instead of what we normally do — wander about aimlessly, perhaps missing something we’d enjoy. Thanks for the inspiration! We had planned on spending a whole week there, but our friends called and said the smoke and ash was really bad so we had to cancel, but we plan on coming up once those fires are extinguished. I will keep all your awesome suggestions filed so we can enjoy Bend when we come up later this Fall. Thanks so much! Your friends advised you well. As you will see in a video I shared this morning on my IG Stories, we are bathed in smoke. Holy moly crplo LOVES Backporch. Thankfully they carry it at the 365 here. He likes it black “just like his soul.” Insert smiling eye roll here! Add that to the Bend list! You read my mind Shannon! My husband and I are discussing an Oregon trip next year. Do you think Bend is a good home base for Crater Lake? Thanks for taking the time to create this post – I would love to experience this day and find it ideal indeed! Crater Lake is a significant distance away, but you could take a day and night trip there and then return to Bend as it a good 2 hours away. 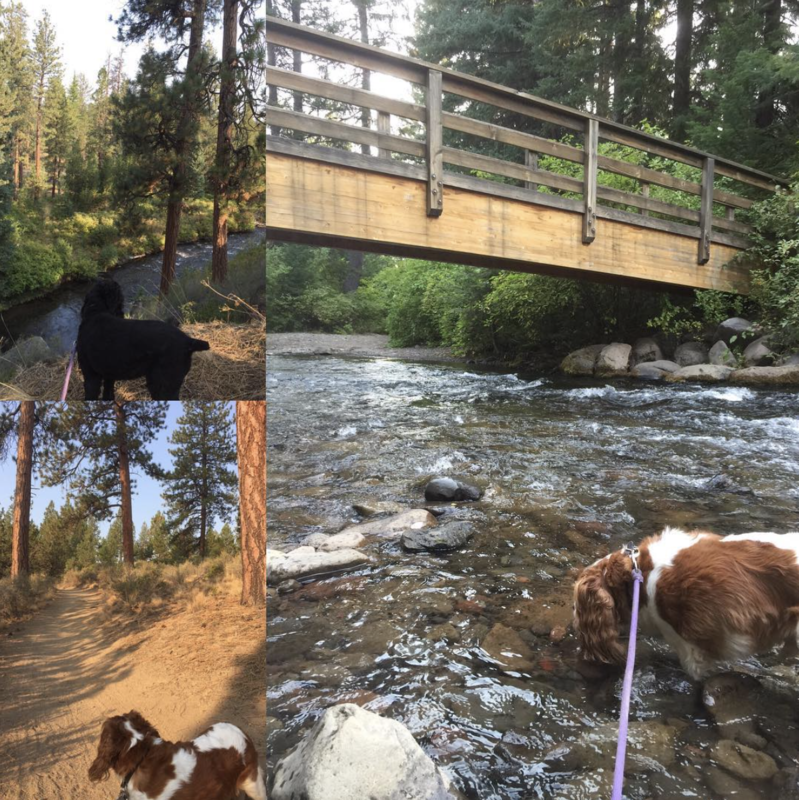 What an inspirational post–not only does it make me want to visit Bend, it also makes me appreciative of the beautiful places near me (places I often overlook because I’m used to living here!). 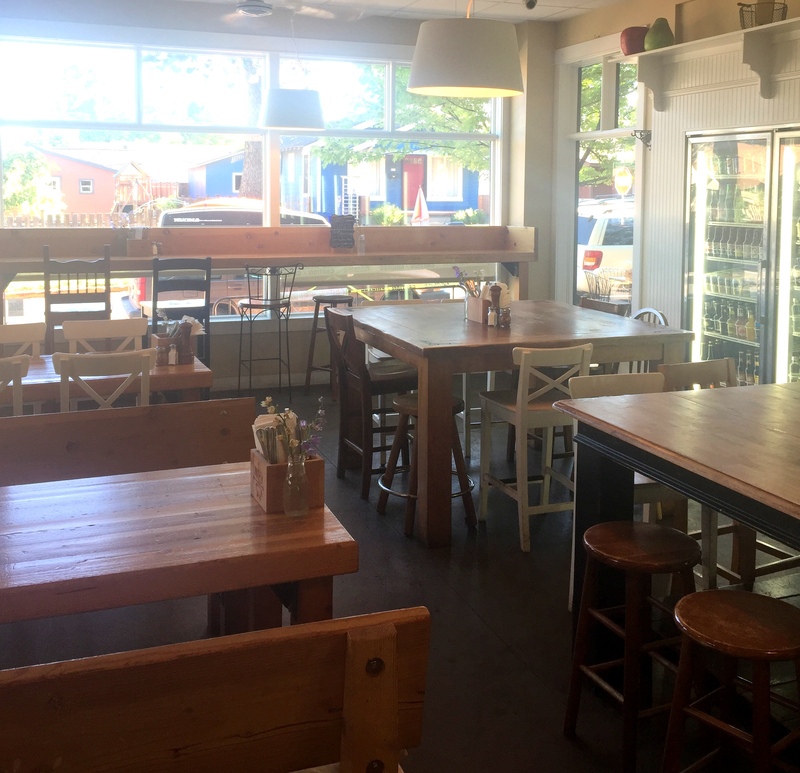 If you are ever in Ann Arbor (for what reason I can’t imagine…but just in case! 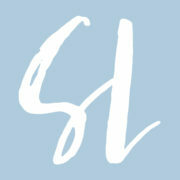 ), you would love Literati. I think it is the most wonderful bookstore in the whole world, and there is a coffee shop upstairs. The staff leave handwritten reviews on notecards next to some of their favorite books, they bring in great authors like Margaret Atwood and Jeffrey Eugenides for speaking engagements, and there is a typewriter downstairs where guests can leave notes. It is beautiful, cozy, and always amplifies my love for books. Thank you for letting me know. 🙂 I will certainly put it on my list. It sounds lovely.